This year has been a whirlwind thus far and my photo processing has taken a serious back seat between a new role at work, continuous family commitments and other random things. I found time tonight to take a quick peek at some of my photos from our safari to the Kgalagadi Transfrontier Park in December last year. This photo was taken at first light from the walkways between the cabins at the Urikaruus Wilderness Camp. 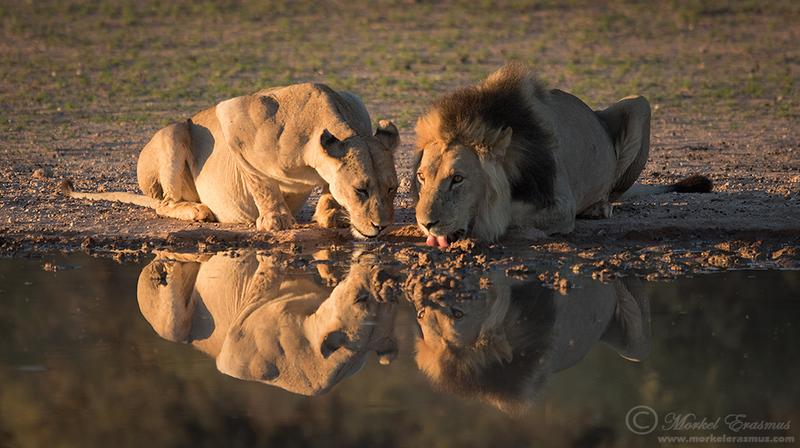 This specific pride of lions had spoiled us by lounging around the camp waterhole all day that day! The pride lounged around all day, roared again at sunset, and moved off into the dunes as darkness fell. A special treat dished up by a special place! Have a blessed week, folks! Beautiful image Morkel, pure magic!